Hello everyone: I just realized I haven't play with my Fairy stamps in a while so, I made this card with one of them, it's one of my favorite images from this bunch of plain red rubber stamps that was given to me by my dear aunt (she is actually my hubby's aunt on his dad's side) after she purchased them from a thrift store some years ago. They had no name, they were just in a cardboard box, dirty, stained, some of them not even trimmed and she thought I would like them. Well, I not only like them, I LOVE THEM!!!!! These are some of the most beautiful Fairy images I've ever seen. I love this image, this is how I imagine little Faeries, playing with the morning dew on top of the flowers, so sweet and whimsical. I stamped this image with Stazon black ink and colored it with Sakura Koi water colors, I added some Wink of Stella to her wings, the sentiment is from SU called "Teeny, Tiny Wishes", the decorative corners are from Spellbinders. The sentiment is one of my most favorites, the font is gorgeous and the words so meaningful. 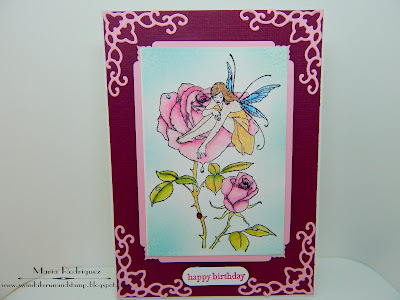 The silhouette of the Fairy is from Poppy Stamps and it's stamped with Rich Razleberry from SU. Delicious Doodles Challenge September "Fairies at the Bottom of the Garden"
Naughty or Nice Challenge #43 "Framed"
Rubber Dance Theme Challenge September "Favorite Stamp"
SheepSki Design Challenges #6 "Feature a Creature"
The Rubber Buggy Challenge #2 "Flowers. AUTUMN, I needed to increase my small stash of Thanksgiving cards so I created this one which I will enter onto a few challenges at the end of this post. One of the things I love the most about Autumn is the amazing colors all around, the beautiful temperatures and, believe it or not, racking leaves. This image is from an old and beloved Flourishes set called "A Season of Thanks" which has two more images and sentiments just as beautiful as this one. I stamped it onto a panel of Strathmore water color paper with Versafine black ink and clear heat emboss it then colored it with Sakura Koi water colors and the Basic Gray SU marker for the vase. 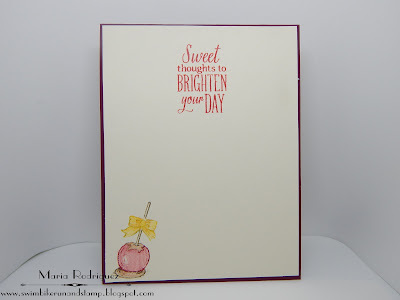 The sentiment is from the set and it's stamped with SU Hello Honey ink. The sentiment is also from this set, I love the font. The little leaf and acorn are from my miscellaneous small stamp stash. Stinkin' Inkers Challenge, "Color Wheel", use your favorite colors. Always Fun Challenges Challenge #24 "Fall Colors"
Crafty Cardmakers Challenge #196 "Autumn"
Hello everyone: I have a quick card I made just now, using some stuff I had laying around on my craft table. I'm linking this card to a few challenges at the end of this post. 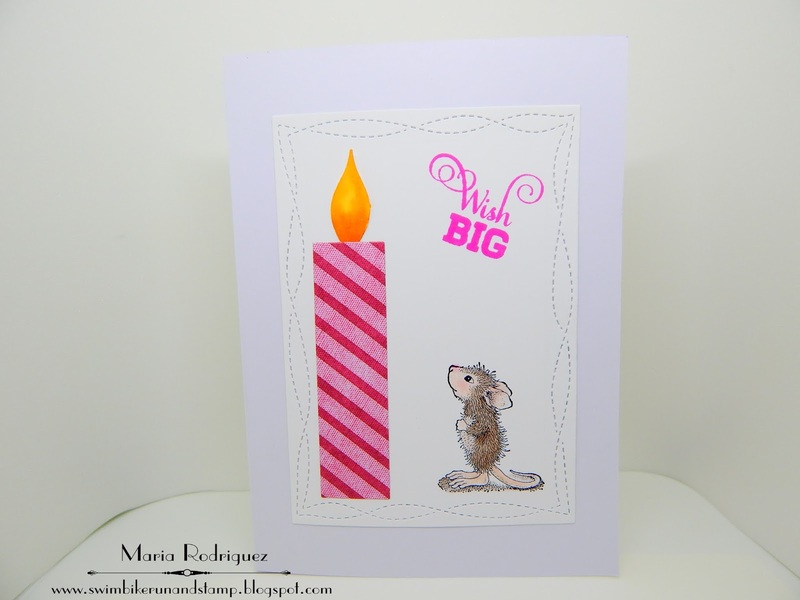 So many of you know I just adore the House Mouse siblings and I think this one is just perfect for my card. Very simple really, I just stamped the image with Stazon black ink, colored it with Prismacolor pencils and Gamsol, I'm loving this stuff!! The candle was die cut from some scraps of Lili of the Valley pattern paper for another card but I changed my mind so I saved the strip for later and, well, it worked great to make this huge candle. The "flame" was punched with the retired SU "Flower Builder Punch" and water colored. The sentiment couldn't be more perfect, it's from a retired Flourishes set, stamped with Tim Holtz Picked Razpberries. 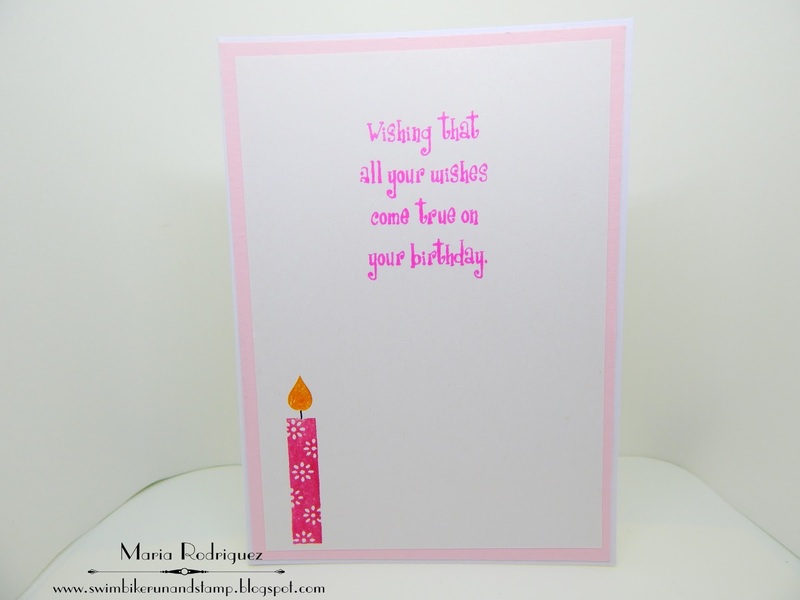 The sentiment and candle are from an old stash of Birthday stamps. Try it on Tuesday "My Friend" human, animal, imaginary. A Snowflake Promise challenge #44 Anything Goes. Hello everyone, I'm here again with another card for the SHOPPING OUR STASH Challenge, this time, my teammates and I want to see APPLES or anything made with them, pies, tea, cider, etc. Here is my card and I hope it inspires you to come an play along with us. This beautiful crate of apples is from a Power Poppy set called Farmers Market and it has other images just as delicious as this one. I stamped the image onto a die cut panel of Strathmore mixed media paper with Versafine black ink and colored it with SU markers and Wink of Stella. The sentiment is from the set. 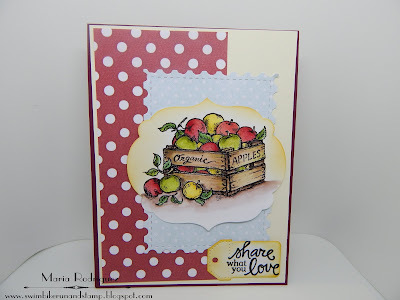 The sentiment here is from the set and the little caramel apple from a retired Flourishes set. Bitten by the Bug 2 "A is for Apple"
I hope you can share your creations with us in our gallery. 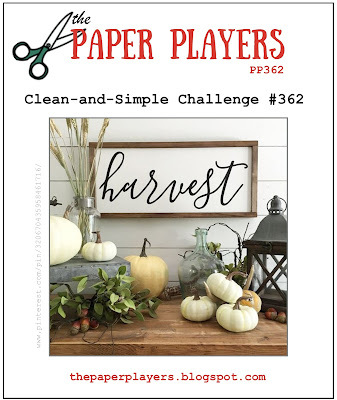 Please stop by the SHOPPING OUR STASH challenge blog and check out my teammates' awesome creations, visit their blogs and leave them some comment love.